We aim to offer a varied events program to encourage our members to enjoy the sport of sailing whatever their interests. Whether you are keen on competitive racing, or prefer a more gentile cruise, there will be something in our program that will appeal. Tudor Sailing Club provides an excellent base for sailing activities, with a slipway that extends down to low water springs, makes launching possible at all states of tide. 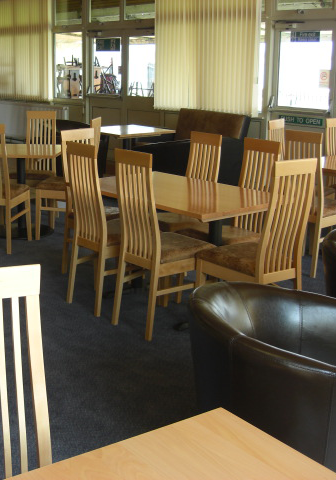 The clubhouse has been completely refurbished over the last few years, providing modern comfortable facilities that are the envy of visiting sailors - the perfect place to relax after time on the water. The changing rooms are maintained to a high standard and boast a new central heating system, ensuring a comfortable environment to get changed in and a hot shower at the end of the day. Tudor SC has ample storage facilities for boats, with 150+ seasonal dinghy spaces and 100+ moorings for cruisers. 'Summer only' dinghy spaces can be guaranteed to all new members and the waiting list for 'all year round' spaces is typically short. There are normally a few moorings available for new cruiser members, however please bare in mind that the restricted winter compound space for lay-up is prioritized on length of membership. That said, we always seem to get everyone in! We are a 'self help club', which means that the services that the club provides are all provided by volunteers - we have no paid staff. This helps to keep membership subscriptions low, making the sport of sailing accessible to all. All family and individual members are required to offer a minimum of 15 hours of duty per year. Those who do not help are required to pay an hourly rate for every hour not completed. Volunteering is a great way of meeting other members and is actually quite fun! The Tudor Sailing Club was founded in 1949 with the object of providing amenities for club members and their boats, to encourage the arts of sailing and seamanship, to promote marine and social events for members and friends. To learn more about the history of our club, please visit our club history page.